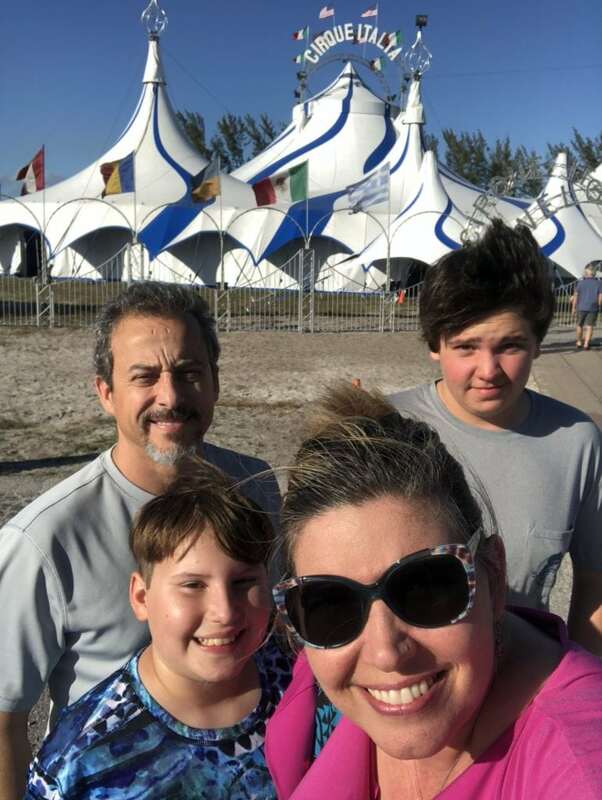 We were so excited to attend Cirque Italia as a family across the street from the Palm Beach Kennel Club in West Palm Beach last weekend. 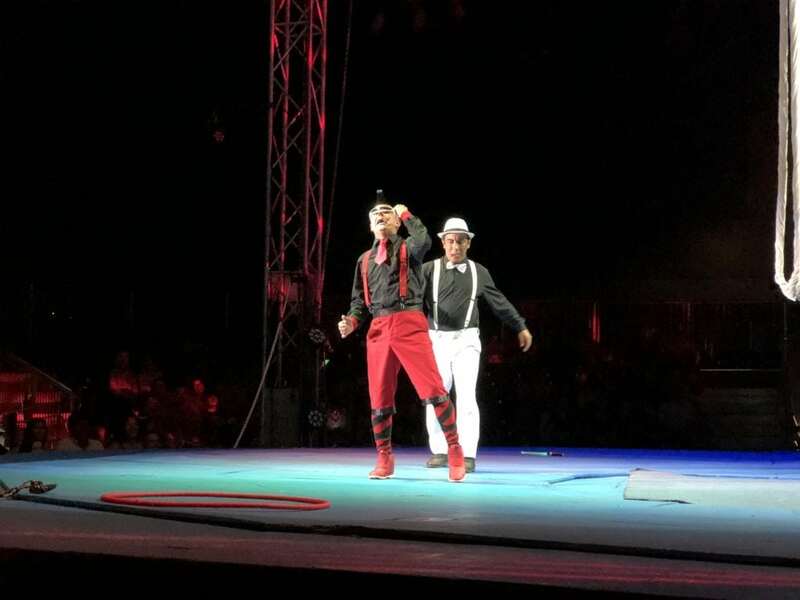 While we’ve experienced many Cirque shows, this was our first Cirque Italia! 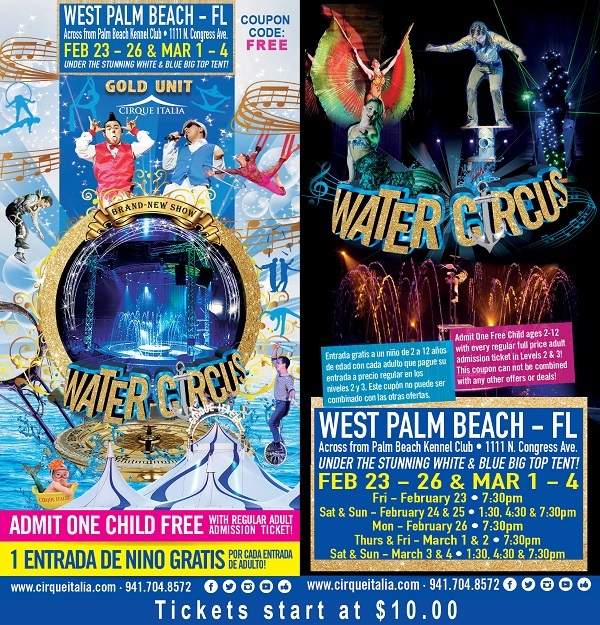 The multi-cultural show featuring performers up close from around the globe now has two traveling shows and for the first time ever, the Gold Unit is in West Palm Beach! Keep reading through and I will share how you can get your children’s tickets FREE! 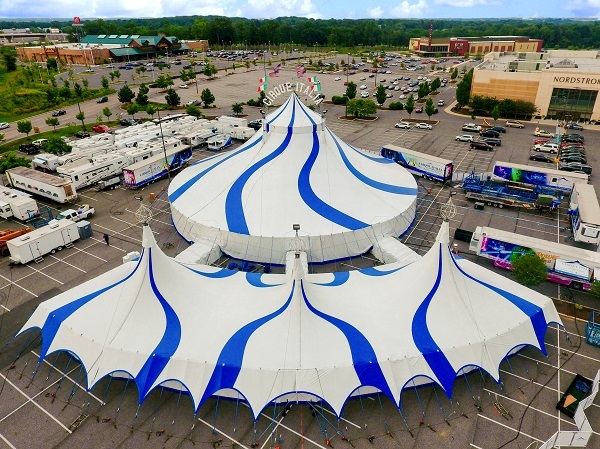 The small setting of the stunning blue and white big-top tent with its central stage made each seat (though a bit tight) a great seat. With the affordable tickets, some as low as $10, and children free, this show is an awesome value. And, if you’ve never seen a Cirque du Soleil show, you’ll absolutely love it! This is an animal-free event, full of the mystery and amazement of human capability. My favorites were the jugglers from Argentina and the neon roller skaters from Italy. 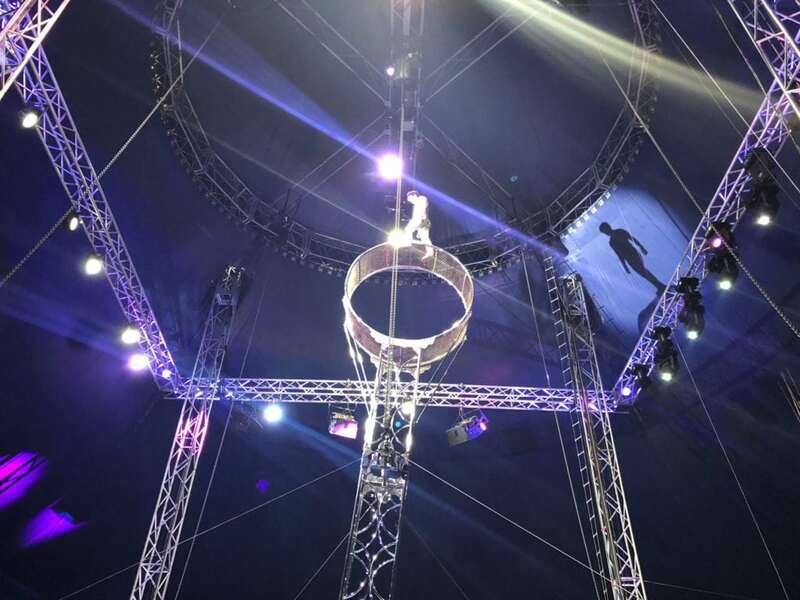 Luke, our 9-year-old loved the “Zipper” and the guy jump roping on the outside of the rotating cage. Super high-intensity! My husband Luis and I loved seeing talented performance artists from all over the world. At the end, they even made their rounds wearing banners representing their home countries, from Eastern Europe to South America and even Cuba. There was one female act I found a bit too risqué when paired with the sultry jazz rendition of one of my favorite songs, “Ain’t No Sunshine,” but overall, the performances and costumes were outstanding. This is one thrilling, high-energy event for fantastic family fun. Cirque Italia was exciting. Cirque Italia high-tech. 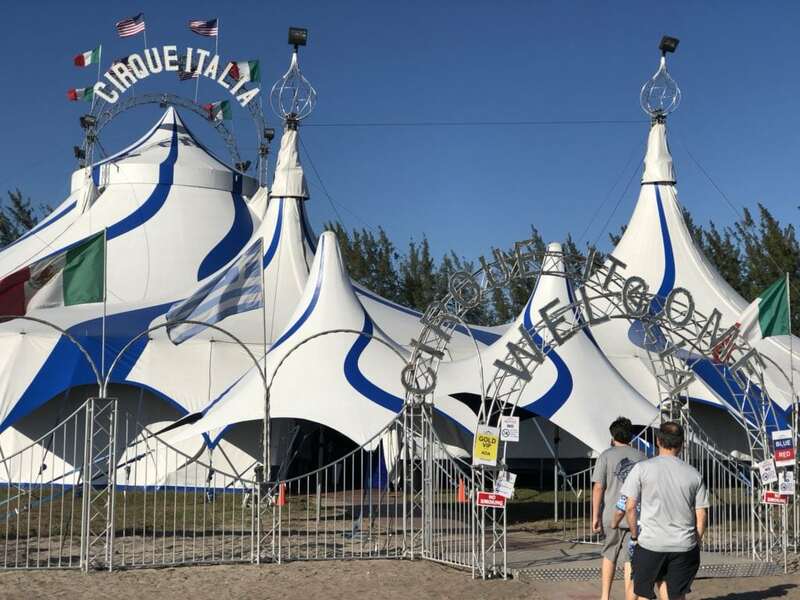 Cirque Italia was memorable. Try to arrive at least 30 minutes before the performance. They don’t allow video or photography of any kind, and I had to present my media badge a few times to get the video you see below. Wear closed toed shows as you’re on a sanded lot. 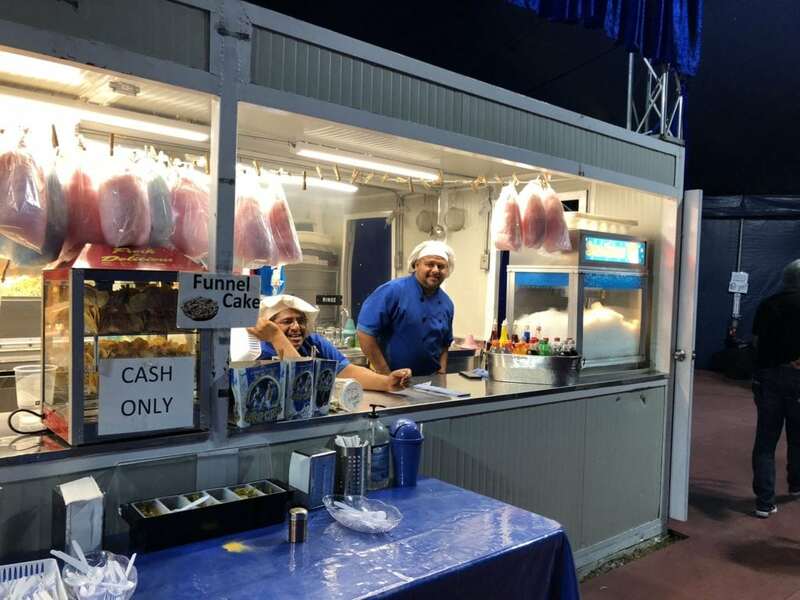 Take cash for the carnival-like concessions and reasonably priced ($10-$12) light-up toys for the kids will be begging for, they don’t accept cards. This new performance features an ultra-modern water curtain that controls every droplet of water meticulously. Audience members can expect to see an artistic display of words and beautiful patterns with LED lights as the water falls to the ‘lagoon’ below.